Tibet is in ‘Trouble’. There is ‘Trouble in Tibet’. When there is ‘Trouble’, no man can think about ‘Happiness’. When there is ‘Trouble’, man thinks of overcoming the ‘Trouble’ and to get rid of ‘Trouble’. If those options are not available, man tries to live with ‘Trouble’ and tries to cope with ‘Trouble’. Ms. Renuka Singh of India is publishing a book titled “The Dalai Lama’s Big Book of Happiness: How to Live in Freedom, Compassion, and Love.” When there is this Big Trouble called ‘Occupation’, man cannot Live in Freedom. Let us all work together to resolve ‘Trouble in Tibet’. Live in Freedom, Compassion, and Love (Hampton Roads, March 1). amount of reading will help, you have to start meditating,’” Singh said. 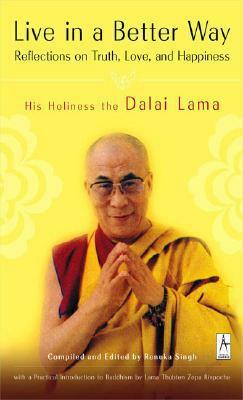 a verbatim Q&A session His Holiness had with the audience. such as forgiveness, compassion, reality, wisdom, and inner and outer peace. we are all suffering, and we’re all seeking happiness,” Singh said. Patheos and Beliefnet, and through social media and other electronic means.